Anything Goes Moving Company is a full-service moving company that specializes in apartment and condo moving. We have served the Dallas/Fort Worth Metroplex since 1993. You can trust Anything Goes Moving to handle your all aspects of your move in the Dallas-Fort Area or anywhere in Texas. ​Anything Goes Moving Company is a full-service moving company that specializes in home moving. We have served the Dallas/Fort Worth Metroplex since 1993. You can trust Anything Goes Moving to handle your all aspects of your move . ​We specialize in apartment and condo moving. Our experience in the market makes us your best option when moving into an apartment or out of it. We understand what property managers require for a smooth moving experience. ​Anything Goes Moving Company is a full-service moving company that specializes in office moving. 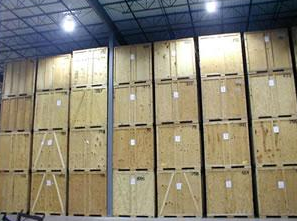 We can also help move your warehouse or other commercial space. ​Anything Goes Moving Company is a full-service moving company that specializes in piano moving. We can help you move furniture, appliances, or any other heavy items as well. ​Anything Goes Moving Company is a full-service moving company that specializes in packing and unpacking. If you don't have the time, or just don't want to do it, let Anything Goes Moving handle it. ​Anything Goes Moving Company is a full-service moving company that specializes in storage location services. If you are having trouble finding a storage location convenient for you, let Anything Goes Moving help.